starts this week! Every day on the blog I am featuring a band from Pittsburgh who I discovered through the submission process and are performing this weekend. 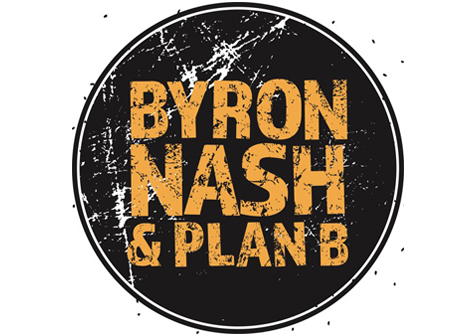 BYRON NASH & PLANB is a Pittsburgh based rock band who wear their eclectic influences right on their sleeve, out in the open for everyone to hear. Taking elements of jazz, metal, r&b, and straight up hard rock, the band have been making waves in the music scene by showing us exactly how it is done by simply doing the work without any excuses. See for yourself how the band rocks it out on Saturday (7/14) as they take the HughShows Stage at 5pm for the 6th Annual Deutschtown Music Festival. I want to thank Byron (Guitars/Vocals) for taking the time to participate in this edition of First/Last. Rufus and Chaka Khan Live. – Songs In the Key of Life. Weird question. I’d say the last Justin Timberlake didn’t strike me as hard as the first three, however, seeing it live made me like it more. Slayer, Testament, Anthrax, Lamb of God, Behemoth. Ever? I’d say the one that had a major impact was Metallica and Queensryche, The And Justice for All/Operation Mindcrime tour 1988. Pittsburgh is the place where I found myself as a musician, artist and businessman. I learned and grew with the city. My favorite part is the hard blue collar work ethic that has seeped its way into everything that I do. Everyone flocks to NYC or LA for opportunity, but I believe you can do major things here, even if you have to travel to pull it off. The new growth has opened the door for endless possibilities. I love that about Pittsburgh. It is a place to hone your skill and talent before taking it to the next level. Thanks, Byron. Can’t wait to hang on Saturday, buddy. I really love your attitude and ethic when it comes to participating in this music scene of ours.